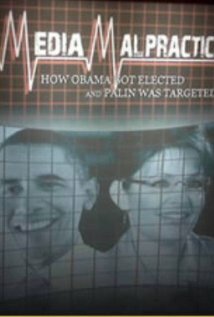 As the 2012 election season rolIs around again, it seemed a good time to mention that I scored the film Media Malpractice, about the 2008 election, produced by John Ziegler. Here’s the IMDB link and the trailer (which, unfortunately, isn’t too representative of the musical cues in the film). You can watch the whole thing on Netflix and other streaming services. The music was produced using Logic Pro software, and lots of plug-ins, including Stylus RMX, Sonic Implants Strings, Sonic Implants Brass, Garritan Personal Orchestra, and VSL. Since it’s a documentary, the film has lots of talking heads, without much in the way of chase scenes, huge swooning love scenes (well… there is ONE of those. Maybe two. ), and so on, so the trick is to try to help the film-maker create the moods that help sell the narrative line. I found some places to suggest, musically, that the current speakers were either lying through their teeth or comically incompetent, where it was obvious that was the conclusion the director of the film wanted the audience to reach (One reviewer said that, “Ziegler employs comical music and pacing to maximize the impact of clips like these.”). And, the producer asked me to musically suggest that one of the, uh, stars of the show was crazy as a loon, which, in the nature of the video clip, was pretty fun to do. As it happens, that particular talking head has left MSNBC (under duress) and now is the star of an obscure cable show that few watch…. I’d like to believe it was the great power of my musical observations about him (at about 25’20” into the film)… but probably not. I mean, music is powerful…. but there are limits. An unusual aspect of this project, as films go, is that the producer/director wanted the music to be nearly “wall to wall.” Inevitably, there was some re-use of cues, but I tried not to make it too obvious. Two hours is a lot of music.